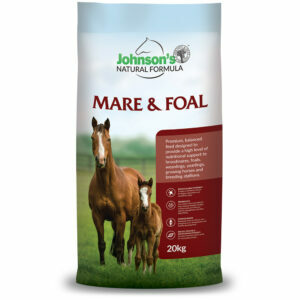 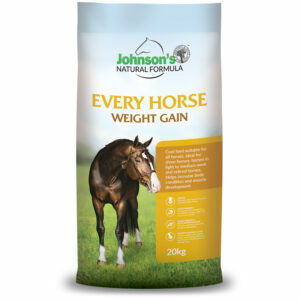 High energy feed designed for racing, harness racing and high performance horses in full work. 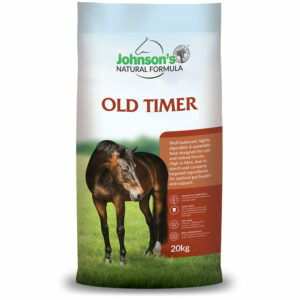 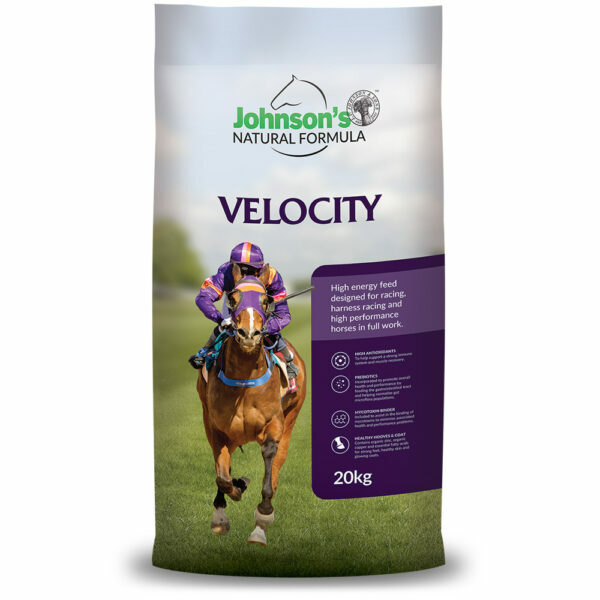 Johnson’s Velocity is a high energy, well balanced pelleted feed designed to deliver useable, sustained, safe energy to race and harness horses in medium or hard work, competition horses, or horses requiring more energy. 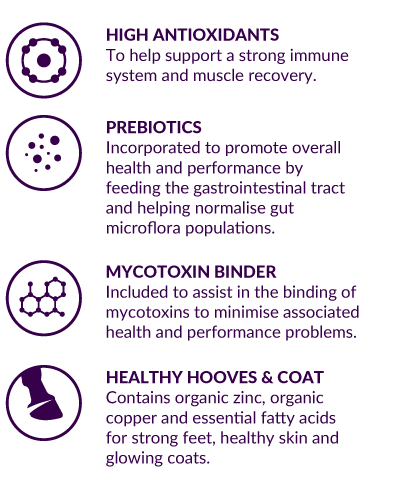 High in antioxidants to aid in recovery from hard work, includes a prebiotic and probiotic to maintain optimal gut health, and contains a mycotoxin binder to help guard against mycotoxins which can compromise health and performance. 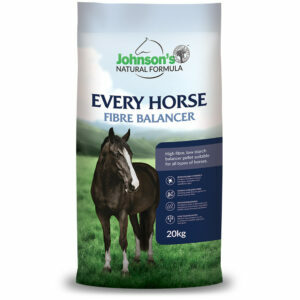 Johnson’s Velocity contains Barley, Lupins, Faba Beans, premium grade export quality Oaten Hay and Lucerne Hay, Full fat Soybean (GMO free), Soybean Oil (GMO free) and Johnson’s Premium Vitamin and Mineral premix (including chelated minerals, prebiotics, probiotics, and mycotoxin binder), Sodium Chloride and Dicalcium Phosphate.